Please note that the content of this book primarily consists of articles available from Wikipedia or other free sources online. 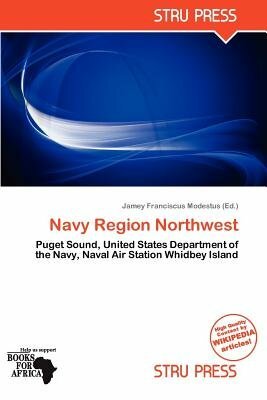 Navy Region Northwest is one of several United States Navy Regions. The Puget Sound is the U.S. Navy's third largest fleet concentration area. The Department of the Navy spends about $2.8 billion annually in the region, which is home to approximately 31,000 active duty members, 16,000 civilian employees, 6,000 drilling reservists, 42,000 family members, and 55,000 Navy retirees. As the regional coordinator for the Navy in the six-state area of Washington, Oregon, Idaho, Alaska, Wyoming, and Montana, Navy Region Northwest provides coordination of base operating support functions for operating forces throughout the region.